At Dance for Fun Studios you will find dance classes in Rochdale Bury and Manchester where you will discover easy to follow dance classes with friendly helpful qualified teachers. As one of the largest Dance Schools for Adults in the area, you can Learn Ballroom and Latin Dancing, Argentine Tango and Sequence Dance. Enjoy learning to Dance with Alan and Ginny in our warm and friendly dance classes in Bury and Rochdale. Dancing has to be fun and enjoyable and that’s what we provide. DANCE FOR FUN – its THE only place to learn. You too could have your own Strictly Come Dancing “journey”!! If you have always said you would like to Learn to Dance then now is the right time. Learning to dance is brilliant, it gets you fit, helps lose weight and gives you a great sense of achievement. It’s never too late to learn to dance! Give it a try, you will love it. All Classes are only £7.50 per person. See Dance Class page for addresses and Start dates. Call us now on 07860561983 to join and for more information. Ring or email for details. Wondering what to buy your dance partner, family, friends and colleagues for Christmas or birthday? Why not buy the gift of Dance. You can purchase a Gift Voucher from us for any amount and can then it can be used for private Lessons or Classes with us. Purchase for any amount, just contact us for more details. Brand New Beginners Ballroom and Latin Class – 8pm Every Monday. Tel :07860 561983 Ring for more information. 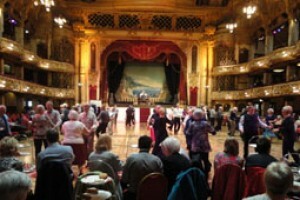 Beginners Ballroom and Latin – 7 pm – £7.50 per person. May 2019. Ring for more information. 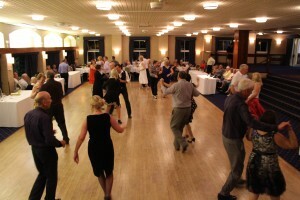 Beginners Ballroom and Latin – 7.45 pm – Only £7.50 pp. Ring for more information. 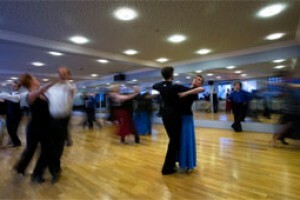 Ballroom and Latin Level 1 – 8.45 pm Beyond Beginners – Ask about this beyond Beginners class. SEQUENCE DANCING for all – 7.30 to 9pm – Join anytime – Every Friday. Learn all the new and popular Sequence Dances in our fabulous class. PRIVATE LESSONS on SUNDAYS – Ring or email to book a lesson. Ballroom and Latin , Argentine Tango, Sequence Dance and Salsa. Yes you can Learn To “Dance in a Day.” Our 2 hour instructive Dance Workshop will have you dancing in just one day. You will learn to dance Waltz, Cha Cha Cha and Social Foxtrot. This unique session is especially for those who would like to learn to dance but have limited time. Register your interest with us Today. Workshop is – 1.30pm to 4.00pm only £15 per person including refreshments. Dance For Fun Studios, St Pauls Hall, Black Pits Rd, Norden, Rochdale. Book Your Place today. Argentine Tango Workshop for Beginners – Please enquire at Dance For Fun Studios, St Paul’s Hall, Black Pits Rd Norden – Only £15 per person. Booking in advance only. Please visit our dedicated Argentine Tango page for more details on all our workshops. 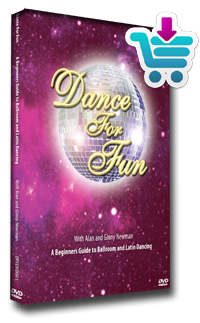 This is perfect for the beginner If you are taking your first steps into dancing , then you will find our Dance Class DVD to be a fabulous easy to follow guide to the main Ballroom and Latin Dances. Includes nine dance lessons. All the dances are explained in a simple easy format with demonstrations on how to dance the steps.